Greenpeace, Shooting Star Chase and Marie Curie feature in PRWeek's analysis of the best charity and cause marketing Christmas campaigns so far this year. Did charity and cause marketing Christmas campaigns cut through this year? With the likes of John Lewis, Sainsbury's and Marks & Spencer typically stealing the limelight (and column inches) at this time of year, Christmas campaigns launched by charitable organisations and non-profit groups are often overlooked. 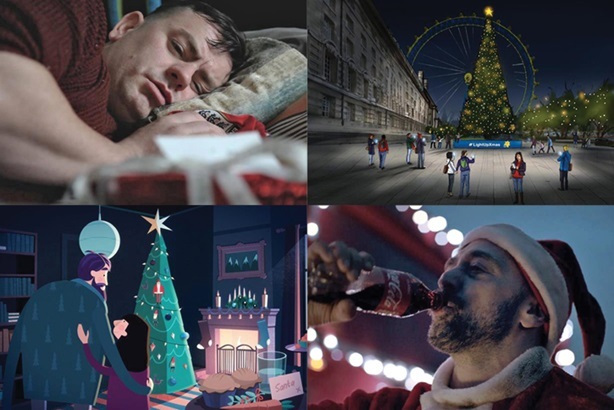 Here we summarise how various groups have attempted to amplify their content and increase awareness of their campaigns in what is an already saturated market, and include commentary from PRWeek UK's Christmas campaigns panel. The campaign: A take on the iconic Coca-Cola festive campaign, Greenpeace follows the story of several families at Christmas, but punctuates various scenes with signs that not all is as it seems. The clip ends with a large dump truck, driven by a man in a Santa suit, tipping plastic bottles into the sea. Greenpeace said it wanted to "hijack Coke's huge PR push" at Christmas and draw attention to the number of plastic bottles that end up in landfill, on beaches and in the ocean. The campaign film was published across Greenpeace's global social media channels, and also drew a critical response from the drinks giant itself. The verdict: Ranj George, head of consumer at Lewis, said: "It's timely and the spoof video, created in what was probably a short turnaround time, is interesting to watch and likely shareable, as well as hitting home on the key issues Greenpeace want to raise. Whilst singling out just one brand may be unfair, it doesn't change the fact that this hijack has worked, and worked well." The campaign: Children's hospice Shooting Star Chase enlisted the help of social change agency Shape History to create an emotive film that explores the theme of bereavement and personal loss at Christmas. To create the film, Shape History worked with a family from Surrey who lost their son in 2011 after a battle with cancer, with the family saying it wanted to "remind the British public that the festive period is about looking out for the most vulnerable in society and being there for your nearest and dearest". The film, which has been viewed more than 480,000 times on Facebook, was created to help raise money for Shooting Star Chase via its donation page, with all proceeds going to the running of the charity's two hospices. The verdict: David Fraser, founder of Ready10, said: "The campaign is stunning; a moving story, wonderful acting that is delivered without dialogue and a very clear message of remembrance, struggle and ultimately, hope. I don't know what their budget was but there will be many a brand that will have spent millions more on their Christmas campaigns and haven't made anything that is a fraction as good as this." James Herring, managing partner, added: "A bold and emotional piece piece of comms telling a real-life story through an ad. It brings the topic to the forefront in powerful fashion, raising awareness of those going through similar situations." The campaign: This year Alzheimer's Research UK has re-launched its emotional Santa Forgot Christmas campaign from 2016. The reboot includes a new introduction by broadcaster Stephen Fry, who also narrates the film. Fry has also penned a blog highlighting the research and development work carried out by the charity's scientists. He said: "We have to address the problem of dementia scientifically and properly and the public's response to the thought-provoking video last Christmas has helped Alzheimer's Research UK invest more than ever to drive new research breakthroughs this year." While Freuds handled PR for the original campaign, this year's re-launch was managed in-house. The verdict: Nik Govier, co-founder of Unity, said: "Giving Santa Alzheimer’s is a simple and powerful concept, and the film is strong. But for it me feels like it could have been strengthened with a social mechanic that allows for deeper engagement beyond just liking and sharing. It’s such a rich creative territory; I think more could have been made of it." Fraser added: "The Alzheimer's campaign is a clever concept that is almost a checkbox of the perfect comms campaign - a novel concept (Santa suffering from dementia) - tick. A famous name - tick. Great animation - tick. There are so many ingredients in here that it can't fail to grab attention and be talked about." The campaign: Terminal illness charity Marie Curie created a Christmas tree powered by people sharing their memories on Twitter and Instagram using the hashtag #LightUpXmas. The lights will shine brighter as the number of posts increases. The tree will be located in front of the London Eye on the Southbank between 4 and 17 December. Read more here. The verdict: George said: "The campaign has a huge visual/experiential element and I really like the idea of the lights getting brighter as more memories are shared on Instagram and Twitter. However, I'm not sure it will really have the long-lasting resonance, message cut through, engagement or talkability beyond the footfall and initial launch phase." The campaign: Creative agency Impero has launched an independent Christmas campaign aimed at raising money for conservation charity Polar Bears International. ‘Trump’s Xmas meltdown’ is a retro arcade-style game in which players melt an ice sculpture of US President Donald Trump. Impero creative director Michael Scantlebury said: "This year, as an agency, we decided to give back, have some fun, and do some good for the planet. With flippant comments like, 'where is climate change' and 'global warming is an expensive hoax', what hope will the polar bear population have in surviving the melting polar ice caps if we don’t do something now, by trying to impact change wherever we can?" The agency said all proceeds raised through the game would go Polar Bear International, while it has also pledged to donate £1,000. Got a charity Christmas campaign you think PRWeek should feature? Get in touch here. Read next: Which retailers' Christmas campaigns are crackers and which have proved turkeys?